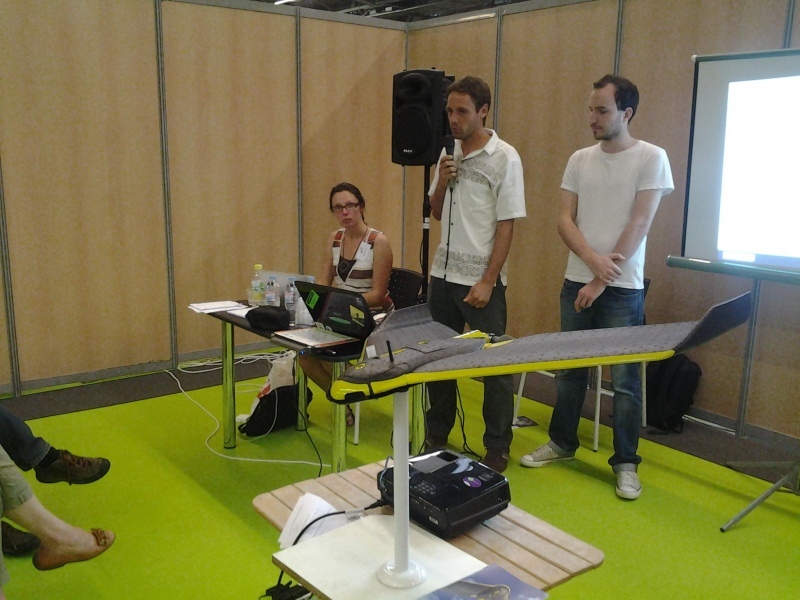 CartONG held for 3 days a booth with OpenStreetMap-France at Salon des Solidarités 2014, in Paris ! An opportunity to offer a wide program of conferences and workshops, and to meet many NGOs. 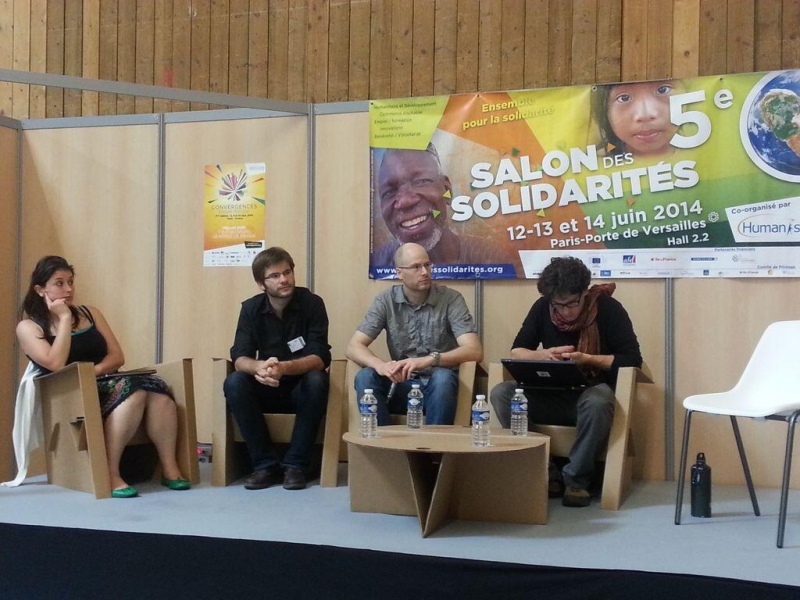 The Salon des Solidarités is a major event in the aim of International solidarity in France. It takes place every two years and gathers NGOs, international organizations, local governments and also solidarity-based companies and training organizations in Paris. We were present at the latest edition and this year we wanted to be associated to the participants of the Social Good Week (an event aiming at presenting innovations with a social utility); we created with them the Social Good Camp gathering innovative actors for the common good. This year the Social Good Camp was constituted of Hello Asso (a company facilitating fund-raising for associations), Arizuka (a crowdfunding specialist), Simplon (school of socially responsible developers) and the Plus! Initiative coming from Ecedi (working in responsible communication), as well as the common booth CartONG/OpenStreetMap. During the three days we offered a program of workshops and teaching sessions. These events didn’t managed to gather many participants due to the extremely busy agenda of the Salon, but they allowed us to explain OSM use to NGO professionals. We also proposed a mapping party on Saturday to initiate some people into OSM map making. We took part in two conferences: one on the state of digital volunteering was lead by Olivier Sarrat from Groupe URD with the participation of Nicolas Chavent and Séverin Ménard from HOT, and of Paola Fava from GNUCoop for the Digital Humanitarian Network. They talked about the success of digital volunteerin gand discussed the next steps at stake to follow on. We want to pursue this discussion during the GeOnG in September. The second conference (Saturday) was organized by the Social Good Camp participants on the issue: “Communities' mobilization thanks to new technologies: innovations and inspiring models”. We had the opportunity to present CartONG and OSM work with community tools (and also to present projects from other organizations like Ushahidi, VISOV, etc) and activities of our booth neighbors on participating funding. In the meantime, CartONG volunteers were leading a workshop on the tools that CartONG can offer to humanitarian actors: cartography as well as more advanced tools like the drone project in Haiti and our project of participative map making of little NGOs in Madagascar (see their presentation here). Beside these conferences, the Salon was the occasion to meet up with NGOs and organizations already known by CartONG (URD, Solidarités, Université de Savoie, ACF, etc.) and to present our activities to new ones. 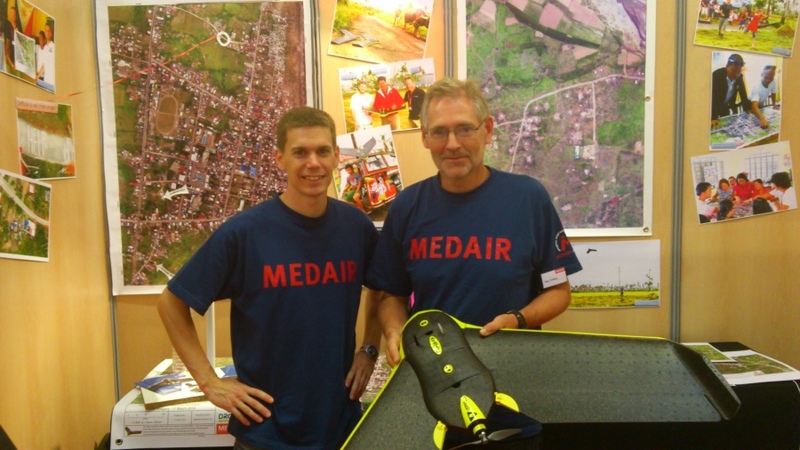 We were specially enthusiastic concerning the remarkable work of Medair in the field of cartography and information management. They are performing a very interesting use of drones in the Philippines with Drone Adventures (which uses also the eBee by SenseFly), printing wide formats images to work with the beneficiaries. They also use simple functionalities of Google Earth to identify and coordinate help in the refugee camps in Lebanon (cf. screenshots above). Special thanks to Morgane, Aurélien, Johan and Fred who were present on the booth and made their presentations with success all along these 3 days! See all the photos in the gallery of the event. 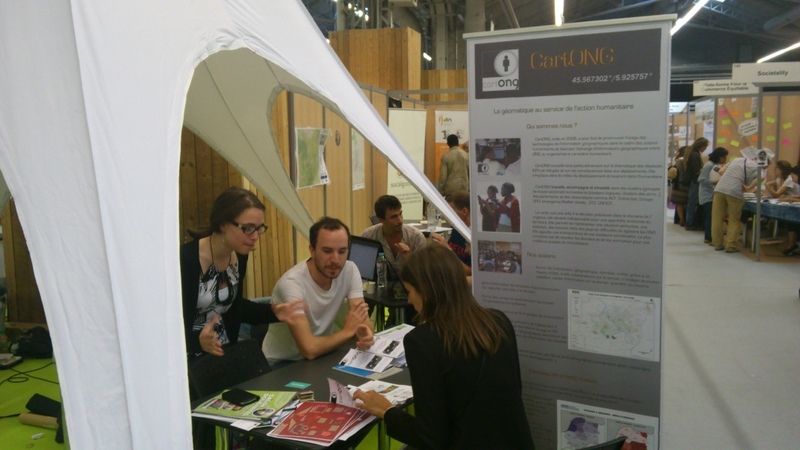 CartONG volunteers also held a booth at Marché des Continents in Chambéry the week before. Read the post on our blog for more information!